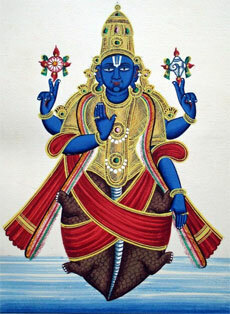 Kurma Jayanti celebrates the second incarnation or avatar of Lord Vishnu – Kurma Avatar. Kurman means Tortoise and the aim of this particular avatar was to help the Devas (gods) and Asuras (demons) in helping in Samudra manthan (Churning of ocean). In 2019, Kurma Jayanti as per traditional North Indian calendars is on May 18. Once due to a curse from Sage Durvasa, the Devas lost all their power and the demons gained upper hand in the battle between good and evil. Soon evil flourished and the demons drew the Devas out of heaven. The Devas took refuge in Vaikunta and asked Lord Vishnu to help them. He suggested the churning of ocean which would derive Amrit (potion of immortality). By drinking Amrit the Devas will gain immortality and thereby they can defeat the Demons. Mountain Mandara was used as the churning rod and Snake Vasuki was used as the rope. But when the churning started the Mount Mandara started sinking as there was no firm foundation. Lord Vishnu took the form of Kurma or tortoise to keep the mountain afloat. The day also celebrates the timely intervention of Lord Vishnu in the battle between good and evil. Kurma Jayanti is observed on the Purnima or full moon day in the month of Vaishakha. What to do on Kurma Jayanti? Fasting from sunrise to next day sunrise. Vrat food and fruits can be consumed. Drinking coconut water and juice of Pomegranate is considered meritorious. Feed of aquatic animals earn merit. Listening to story of Kurma Avatar. Reading of Kurma Purana. Food donation and cloth donation is meritorious. The vrat is performed for peace and prosperity.